Now one of the most recognized and varied cosmetic brands, Bath and Body works offers hundreds of lotions, soaps and personal care products in a laundry list of scents. Including organic and non-animal tested products, bath and body works is sure to have a product for everyone- with scents from birthday cake to cucumber melon, full sets of products are widely available and make that perfect gift for even the pickiest on your list. 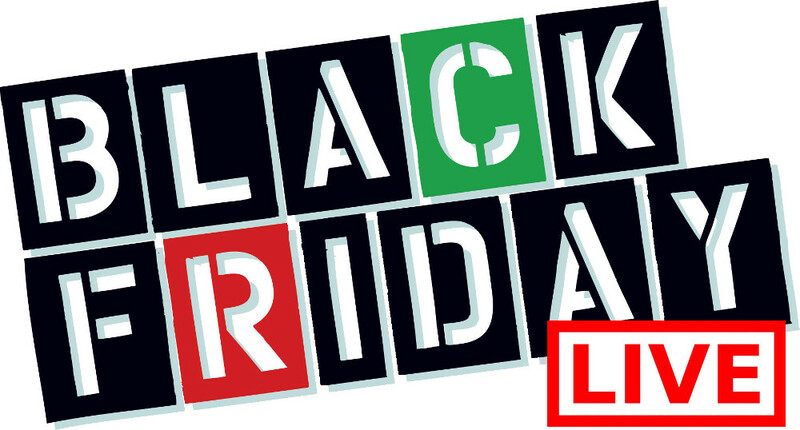 Bath & Body Works Canada Black Friday Sale: Save 40% Off Anything & Everything In-Store + More Deals! 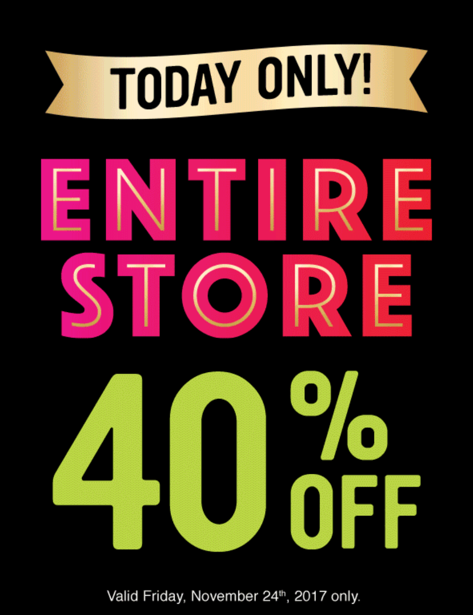 This is the Black Friday 2017 sale we’ve been waiting for at Bath & Body Works Canada! 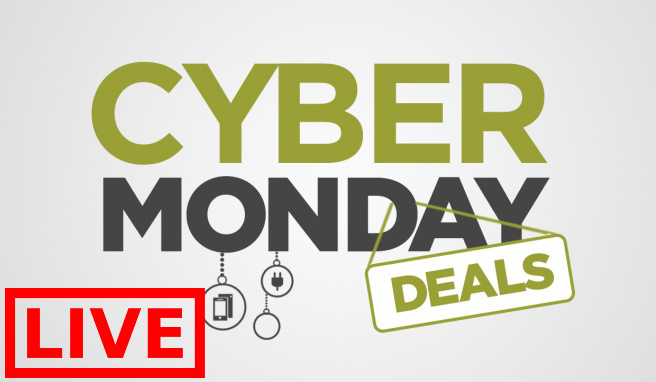 Save 40% off entire store! This Bath & Body Work sale is valid in-stores today only, Friday, November 24, 2017, excluding British Columbia! While supplies last. Selection may vary by store location. 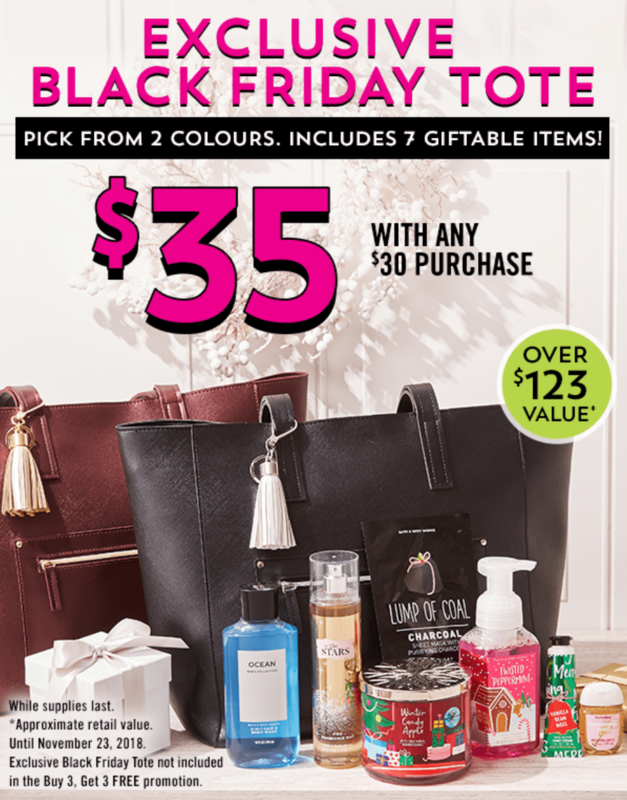 Also, enjoy 2017 Black Friday Exclusive Tote, $35 with any $30 purchase at Bath & Body Work Canada stores! Click here to find Bath & Body Work Canada store near you.